You will earn 513 Reward Points. Earn 1 reward point for every 1 dollar spent. 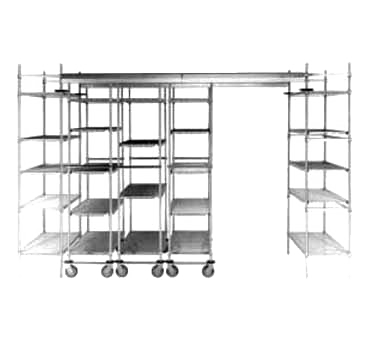 Uniquely Interchangeable: Mix and match MetroMax i™ and Q shelves and posts based on the application. Clean Design: Guide tracks are installed overhead enabling easy cleaning of floors. MetroMax i™ and MetroMax Q shelves feature removable polymer mats. Note: The system compensates for uneven floor surfaces. Floor should be smooth and free from large cracks or raised obstacles. Maximum load capacity for mobile units is 900 lbs. (400kg).